Lake Wales, Florida is a small community in the heart of Florida. There are many things to see and do in Lake Wales and the surrounding area. 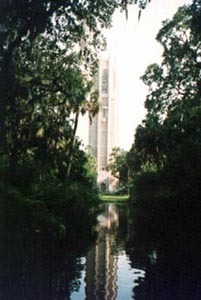 Lake Wales is home to Bok Tower Gardens, Spook Hill, and is the winter home of the Black Hills Passion Play. 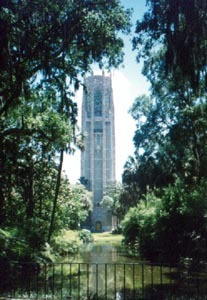 Edward W. Bok, a Dutch immigrant, writer, publisher and humanitarian, built Bok Tower Gardens and dedicated it to the American People in 1929. His goal was to provide a sanctuary for people and animals alike. This National Historic Landmark, located on Florida's highest point - "Iron Mountain" at 298 metres above sea level - is invitingly quiet and serene. 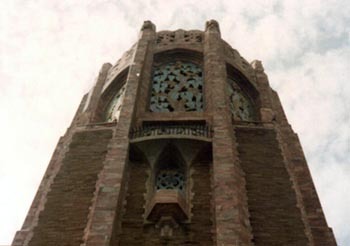 Surrounded by pools and winding pathways, the Singing Tower is a 225 foot stone and marble tower containing 57 bronze bells, which chime every half hour. 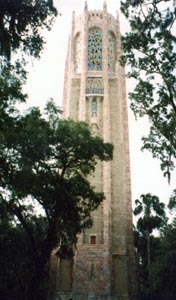 A 45 minute carillon recital occurs daily at 3:00 PM. The pictures are all thumbnails to speed loading time. You can click on them to see the bigger picture. 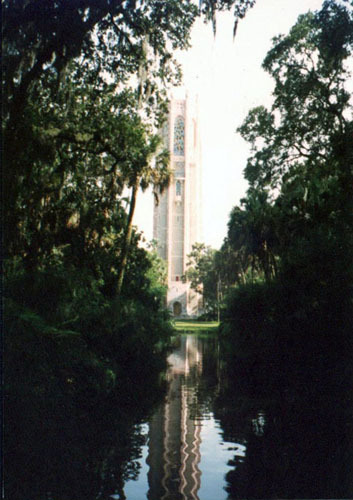 Here are two good pictures of Bok Tower. 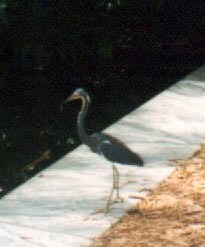 Here are a couple different shots from the tower grounds - a blue heron by one of the pools and a swan. 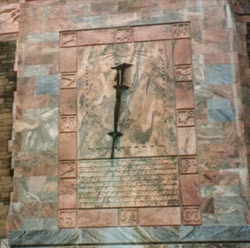 Here's the front of the clock face and the top of the tower. According to legend, a long time ago a great Seminole chief wrestled down a fearsome gator who had been terrorizing the tribe. 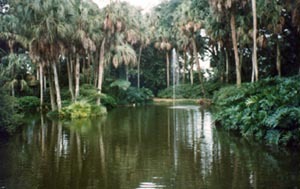 Their spirits have continued to battle over an area that is now the city of Lake Wales in Florida. In the last century, horses had to strain to pull wagons down this hill. 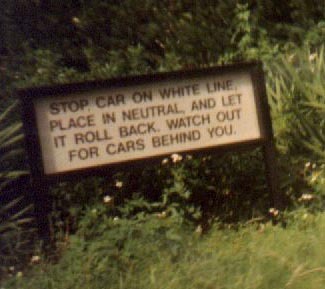 In this century, motorists who visit Spook Hill, pull up to the line, place their car in neutral and feel it being pulled mysteriously back up the hill. 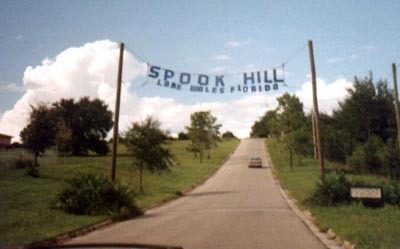 This is the large sign at Spook Hill and instructional sign. For the complete legend, see the link below. 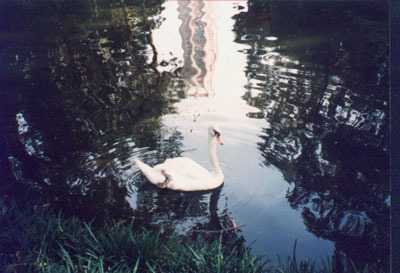 I hope you've enjoyed seeing my Lake Wales pictures and will visit the local links to learn more.